As seen in Tinsel Tokyo Magazine "Rock & Gold" Winter 2011 Issue! Vintage Printed Leather Pirate Boots - GERMANY FIND! Tree ring embossed design with ruching and ruffling. in-side of boot is smooth leather without embossing. See photos for details. 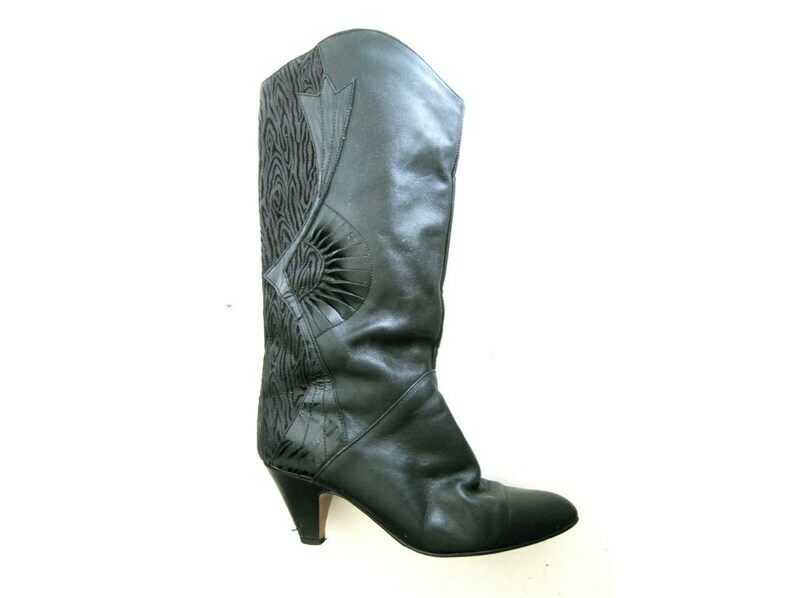 Barely worn, genuine leather calf heeled black boots. Slight scuffing on heal; typical vintage wear, excellent vintage condition.